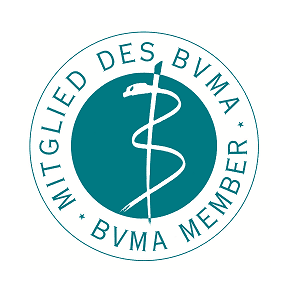 FGK is a member of “Bundesverband Medizinischer Auftragsinstitute” (BVMA) since 2007. The BVMA was founded in July 1991 in order to represent CROs (Contract Research Organisations) which are based in Germany or German speaking countries. The BVMA is based in Munich. At present 40 companies, operating in the field of clinical research at a national as well as international level, are members of the Association (status: April 2017). In order to make sure that each member satisfies the high quality demands, all members undergo re-auditing every three years. In November 2017, FGK’s Managing Director Martin Krauss has been elected as new President of the BVMA. He has been an Executive Board member of the BVMA before and now succeeds Dr. Dagmar Chase who has previously led the association for 16 years. FGK is a member of BIO Deutschland since 2006. BIO Deutschland is Germany’s biotechnology sector representative at the European association, EuropaBio, in Brussels. BIO Deutschland also works closely with other biotech organisations in Europe and the USA in order to lobby for the interests of the sector in an internationally coordinated way. The association is also very active in a broad range of events with the aim of providing biotechnology with a platform for discussion and interaction. As the sector association of the biotechnology industry, BIO Deutschland has set itself the objective of supporting and promoting the development of an innovative economic sector based on modern biosciences. The Berlin-based association currently has over 285 members. It is run by a board of ten members consisting of CEOs and managing directors of biotechnology companies, as well as directors of BioRegions. This committee comprehensively represents the various fields in the sector. The member companies and their experts are organised in working groups that deal with the following topics: finance and taxation; licences and technical contracts; regulatory matters; innovation and entrepreneurship; HR; German-US cooperation; health policy; competition and regulatory policy; technology transfer; and PR. Using a wide range of political initiatives, BIO Deutschland lobbies for improvements to the legal parameters for innovative small and medium-sized enterprises. FGK’s Managing Director Dr. Edgar J. Fenzl is the Coordinator of the Working Group on Regulatory Matters. 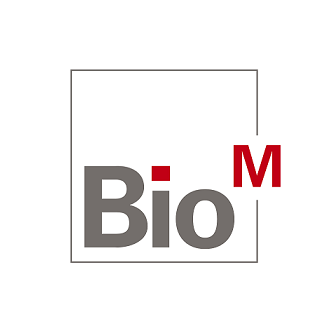 Since 1997, BioM is the network organization of the biotechnology sector in Munich and in Bavaria, commissioned by the Bavarian Ministry of Economic Affairs. Approximately 270 biotechnological and pharmaceutical companies are present in the metropolitan area of Munich. The core competence of the region is the development of innovative therapeutics and diagnostics, in particular for personalized healthcare. BioM supports the Bavarian biotechnological and pharmaceutical sector with an extensive network for developing new business contacts. The cluster management offers central access and a broad range of information about the sector for prospective customers from home and abroad. FGK is a network member of ImmPact Bavaria, a BioM initiative, since 2015. ImmPact Bavaria is a cooperative network that links experts from the fields of immuno-oncology, immunotherapy and immuno-interventions to develop innovative healthcare strategies. Today, ImmPact Bavaria consists of 11 partner companies that have established the network jointly with BioM. The very diverse and non-competitive immunotherapeutic and technological approaches developed by each company provide an excellent knowledge base to initiate successful collaborative actions. FGK has joined Rephine’s “GCP Qualification Programme” in 2017. Rephine Ltd is a UK based company that offers specialist consultancy services to the primary and secondary pharmaceutical industries worldwide. Founded in 1998, Rephine has become a global market leader and a preferred supplier of third party audits. Rephine supports pharmaceutical manufacturers in producing medicinal products that meet regulatory standards by providing bespoke, cost effective solutions. Rephine’s GCP Qualification Programme is an independent external qualification audit performed every two years to verify compliance with the GCP regulations, the company’s internal procedures and the quality standards set by Rephine. 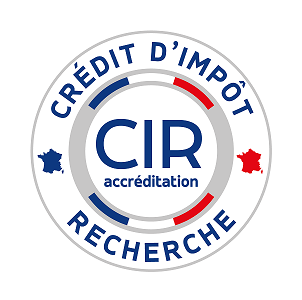 The French R&D Tax Credit scheme (Crédit d'impôt recherché, CIR) is a generic measure to support business research and development (R&D) activities without sector or size restrictions. FGK’s French clients may therefore, under certain conditions, benefit from tax deductions.